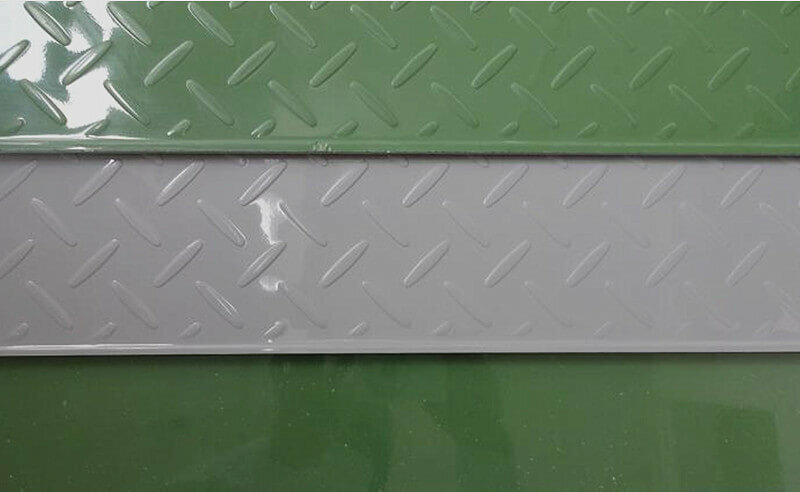 Fiberglass Diamond plate is a pattern of plate material, which uses glass fiber as reinforcement materials, unsaturated polyester resin as matrix, and is finally composited through a special processing. 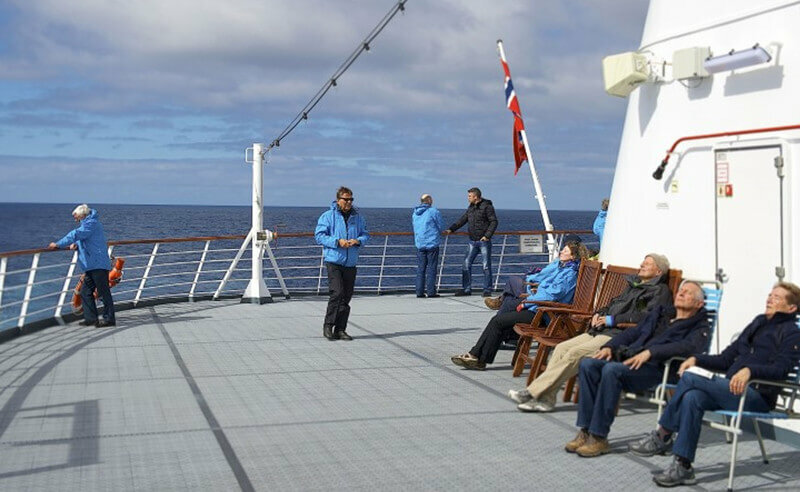 Uses of fibre glass include floor, trench cover, anti-slip ship, ship deck, staircase, walkway and interior wall decoration program in the corrosive environment. FRP sheet specifications: FRP thickness is from 2.0mm to 5.0mm. FRP panel sizes are 1220 * 2440 mm. Fiberglass panels colors: White, red, yellow, blue, silver and so on. As an insulating material, FRP material should have good dielectric properties, high insulation resistance and compressive strength. It should be able to avoid accidents like electric leakage, creepage and breakdown. In general, insulation materials have excellent heat resistance, mainly to ensure that it will not produce performance change because of the long-term heating. There are many good properties of GFRP, great performance of thermal insulation, moisture resistance, environmental protection, fire resistance, and sound insulation. They also have good fibreglass mechanical properties and easy to process with hand lay up method. Rust protection, no mildew, imputrescibility, no need to process with anti skid paint and it can withstand the corrosion of many gas and liquid media. 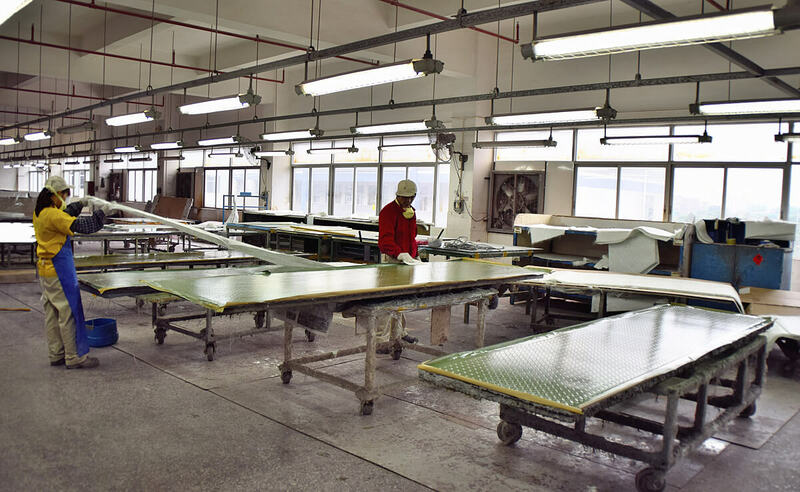 In general, FRP sheet can be used more than 20 years, and there is no need to do maintenance. It’s ten times stronger than hard polyvinyl chloride, and the absolute strength can reach the level of ordinary steel. Because of the light FRP weight, we greatly reduced the weight of the fiberglass board sheets, thereby reducing the weight of the supporting structure. While installing FRP panels, there is no need to use the lifting device. It’s so economical and convenient, and has replaced carbon steel on account of those composite economic results.